<Geek Girl Survey Udpate 2: for science! For many years, whenever people would tell me that girls are rare in geek culture, my instant reaction would always be: ”well, no”. I would be surprised and a little puzzled at their assumption and would instantly think of all the women who were fans or contributors to the Star Trek franchise. Having been a Trekkie for as long as I can remember, I have read several books and watched documentaries about the fandom: Jeff Greenwald’s Future Perfect: How Star Trek Conquered Planet Earth and Trekkies and Trekkies 2 are obvious examples. News reports about conventions around the world, although particularly in the United States of America and England, showed numerous women taking part in the events. Sometimes, the whole family was there, sporting their Starfleet uniform. And what a lovely concept for a family photo (see exhibit A). As I got to discover more spheres of geek culture, I kept finding that the assumption that very few women were part of it was generalized, even among women. In some cases, it may have seemed to be justified: there are very few female professional gamers, there are generally less women at my comic book shop than there are men, and some customers surveys do seem to indicate that there are areas in which men are more numerous than women. Yet I always felt that these elements were not valid indicators of the participation of women in geek culture: indeed, there are few women at my comic book shop. Maybe they prefer to buy comics online, in other shops or borrow them from people they know. It is possible that they walk in with their dad, don’t buy anything, and then read his comics for free (as I did before I entered my 20s). Surveys, in particular, are often biased and offer limited insight. For instance, surveys produced by DC comics, Comixology and Brett Schenker provide drastically different results, particularly regarding female readership. DC’s survey is particularly problematic because of the limited number of people who bothered to answer the questionnaire, and because the publisher was targeting a male audience to begin with. Jill Pantozzi wrote a detailed analysis of the survey on the Mary Sue blog. Additionally, certain fandoms seem to have always attracted men and women alike. It would seem to be the case for Doctor Who, Star Wars, and the works of Joss Whedon and Tolkien, as documentaries such as Done the Impossible: The Fans’ Tale of Firefly and Serenity and Ringers hint to. For all these reasons, the assumption that women are rare in geekdom, that they are unicorns of sorts, seemed fascinating and completely erroneous to me. My own curiosity and anthropological training urged me to further explore why so few geeks were questioning it. Then the fake geek girl scandal came along. I became absorbed by the intense debates which took place on blogs, news reports, videos, comment threads, at geek events, and in other spaces. For over a year, I mapped the interventions which received a lot of attention and reactions and analysed them. 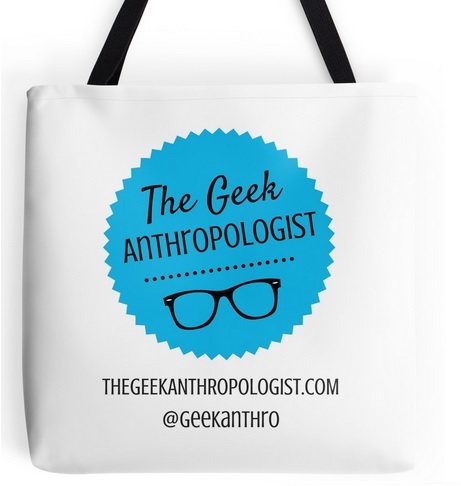 The result of this work is a paper I presented at the 2013 annual meeting of the American Anthropological Association, and the Geek Girl Survey. Over the course of the next few weeks, I will introduce my research on this blog and will be sharing various materials or ongoing projects related to geek girls. I hope you will share your own thoughts and stories with me as we move along. As someone coming from a media studies/fan studies/communications background, my research has shown that fandom that built up in the letter columns of sci-fi magazines was biased from the beginning. Two sci-fi history books you might like to read are Justine Larbalestier’s “The Battle of the Sexes in Science Fiction” and Helen Merrick’s “The Secret Feminist Cabal: A Cultural History of Science Fiction Feminisms.” I haven’t read them yet, but they were recommended to me last week by a fan studies scholar during a roundtable on the fake geek girl. Apparently early sci-fi authors wanted to keep women out (Isaac Asimov being the example given), so the animosity towards women in fandom has a long history. Another book you might like is Camille Bacon-Smith’s “Enterprising Women: Television Fandom and the Creation of Popular Myth.” It’s an ethnography on women who write Star Trek fan fiction, and while it’s a classic of fan studies, it wasn’t well-received by the fan community who found Bacon-Smith to be too much of an outsider. Thank you for recommending these to me and TGA readers! Feel free to sumbit book reviews to us if you do read them! We would be happy to publish them! I am not sure I should say anything as I came across this blog (via ST on face book) by happy accident – and hope t use other parts of this blog as references in my Anth Field work class. (I can not tell you how delighted I am this blog is here) That being said. I was raised a Trekkie. I recall being 3 and being told to hid during Kirk fight-seens being board during the love seens, but loving the diloge and the moral debates- I know exactly where I was when TNG first aired, I came of age with Ds9 still my fav. series. It bothers me to think that people out there might dismiss my love of Trek based on something like my gender (talk abut missing the point of the show people). On the other hand at the age of 32 I just atended my first convention for anything (Steem Punk wich I have not gotten in to but would like to) and could never afford to go to a ST one. I never got in to comic books, I don’t play video games there were pricey in the 80s ad my dex- I mean cordantaion is bad, Some times I wonder if that pulse my poor math skills (learning disability) will make peopel think Im a fake as if love of a fandom or genera is only measurable by complacence with outside stereotypes or expectations! But I have been a trekki for 30 years, been reading fantasy books since before I could read unaided a DnD player for at least seventeen years. I have payed my dues, defended our games and our shows and our books t our detractors, shown up to a public high-school on Halloween dressed in a ds9 era science/medical uniform and and wore it produldy, despite the mocking. I have no idea if the :”fake” geek is real or not. But the feeling seems- corrosive. We have real opponents – people who think we are crazy, or even dangerous dependent on which geekdoom you are in. Anyway MAZL TOV on presenting your paper for the AAA I wish I had known I’d have asked my Profs. if they were going to it. I think you’ll probably find the rest of the series of interest in light of your own experiences. The series is also published on Startrek.com by the way, with few modifications. Let me know what you think of the other articles and thanks for sharing your own story! Indeed, as Trekkies we were both aware that many women were part of the fandom. And of course, as you say, Trimble and many other women were SF fans before ST came along. There were also women who liked comics, fantasy and video games decades ago. However, debates in geek culture, in particular the fake geek girl debate, allow us to see that the perceptions you and I share as Trekkies may not be shared by a majority of geeks. Depending on the area of geek culture one examines, the picture changes: gaming, SF, fantasy, anime and manga, comic books: these fandoms are different, despite the fact that they can mix with one another, or that some people can be invested in various areas at once. For instance, individuals who commented to me in person that women are rare in geek culture knew little about the ST fandom, and had they watched a few documentaries or attended conventions they might have noticed that women were participating actively in our corner of geek culture. In this sense, being a Trekkie is what made me doubt the assumption that geek girls are rare. What sparked my curiosity, what made me start my research, was Star Trek. My title refers to my own process, not geek girls themselves. Thanks for stopping by and giving me your input! It’s all based on stereotypes, but I think the biggest perpetrator is Star Trek which is also the most accessible. Good series! I think you’re right, there is more than one avenue to being a geek. You don’t have to read comics to be a geek.